A bottle and a cork together cost $1.10. The bottle costs $1.00 more than the cork. 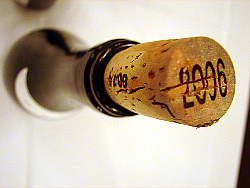 How much does the cork cost?